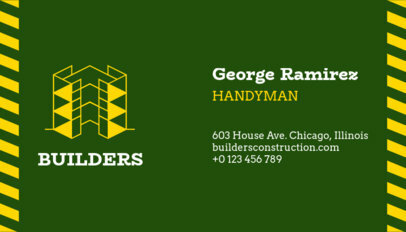 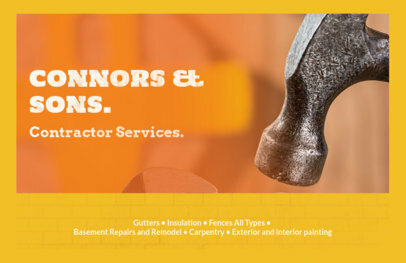 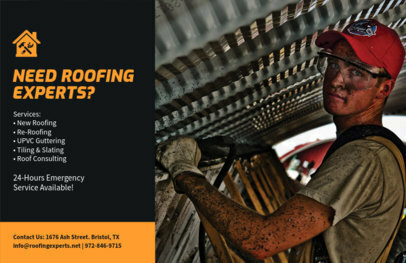 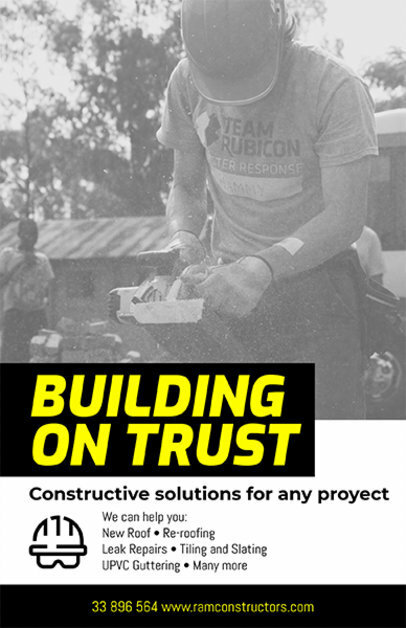 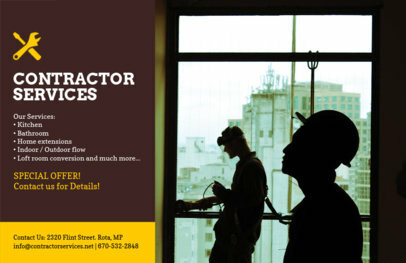 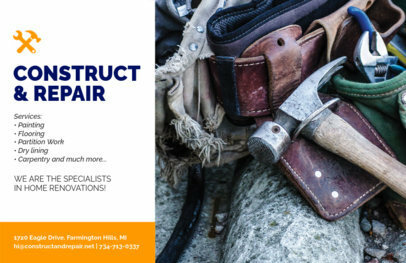 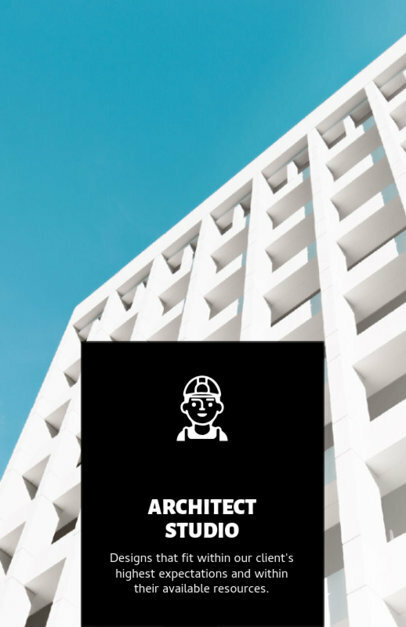 Get your construction business off to a booming start with an eye-catching flyer! 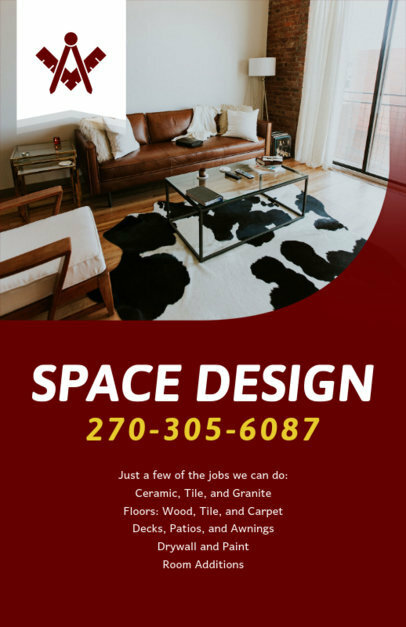 This flyer maker takes all the work out of designing a professional flyer. 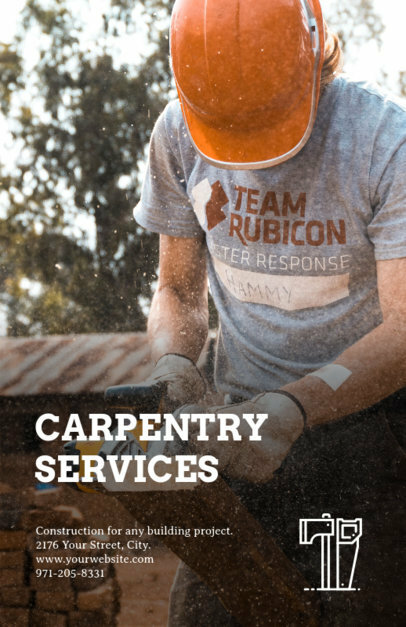 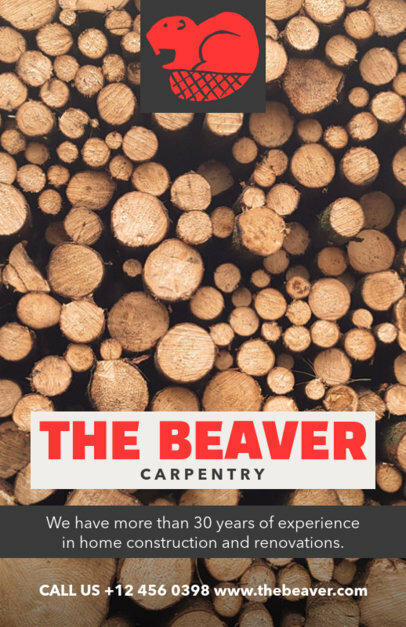 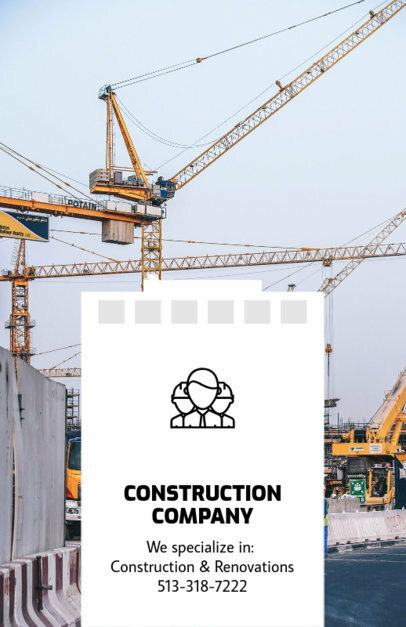 Simply fill in the flyer template with your business information and then select a construction related background image or upload your own. 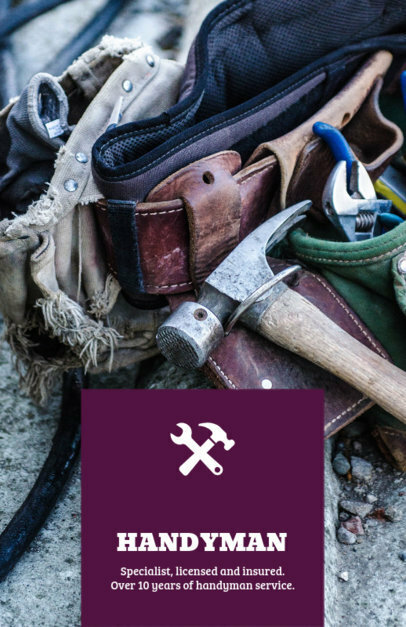 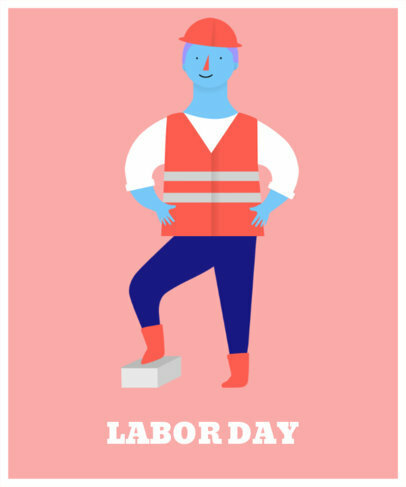 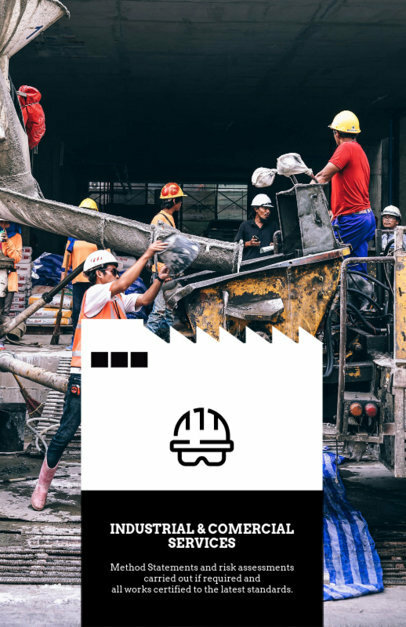 Finally, select a graphic from the many provided, including construction workers, jackhammers, hardhats, tools, and many more. 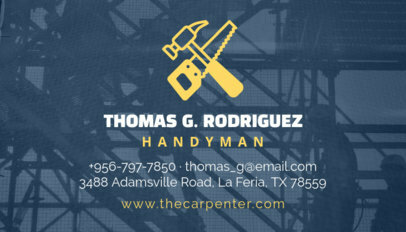 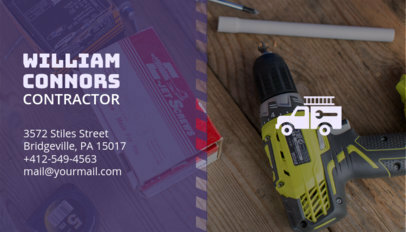 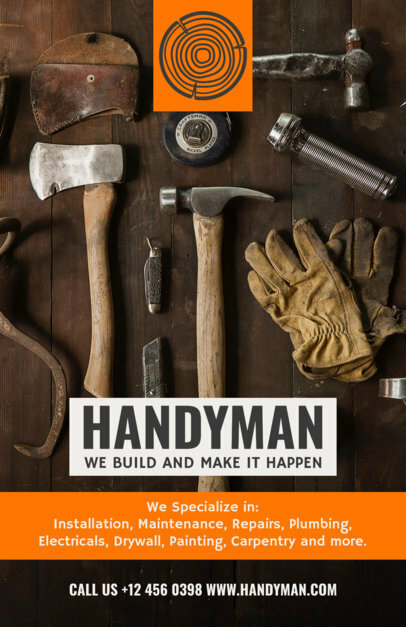 Just like that, you can have a professional flyer for your construction company, handyman business, or contractor company. 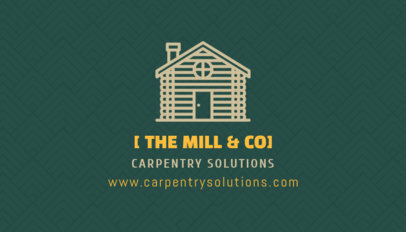 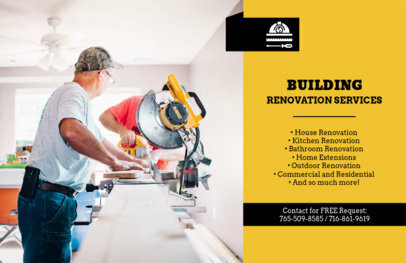 Be sure to also check out this Flyer Template for Construction Flyers! 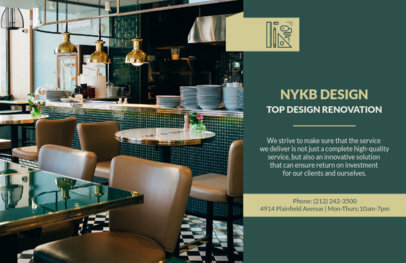 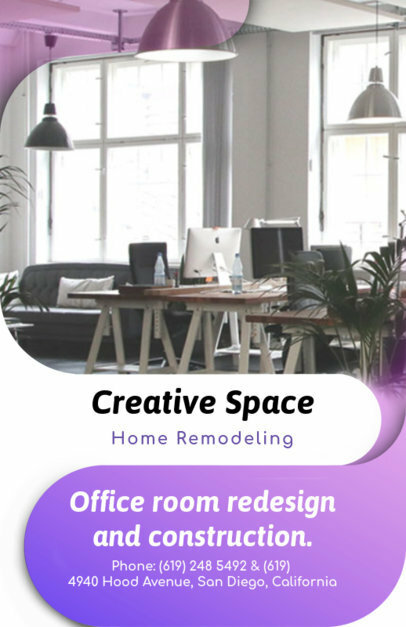 Get your business an awesome flyer with Placeit's home remodeling flyer maker and promote your company to your potential customers using a more beautiful visual! 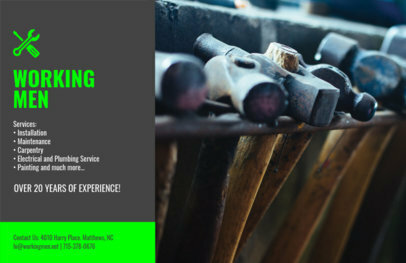 Using a professionally designed flyer will show your audience how good your service is. 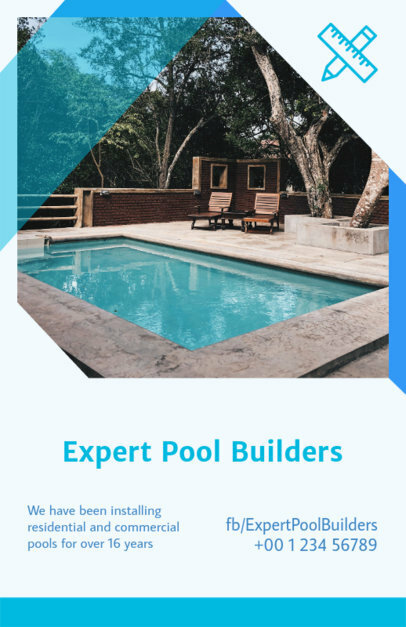 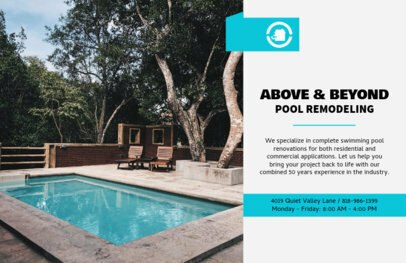 This flyer template is ideal for any home remodeling service, home makeovers and even pool builders. 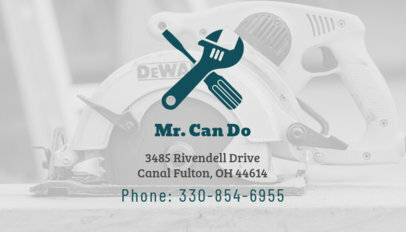 Try it out, you can choose your own image for the background of the flyer! 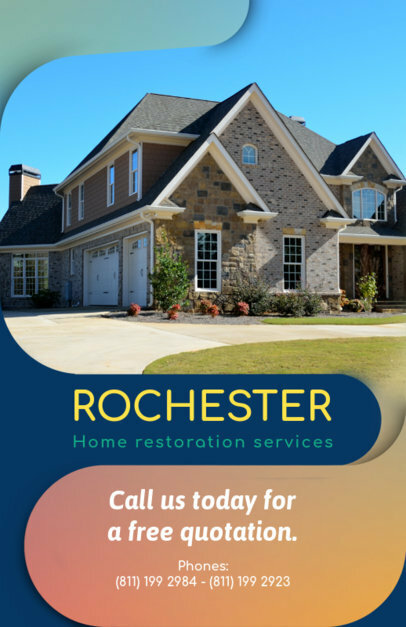 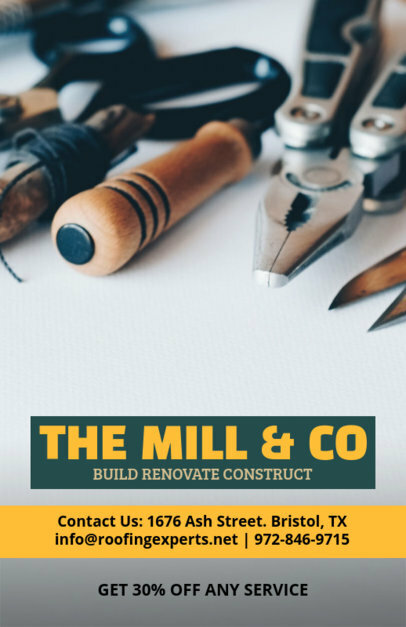 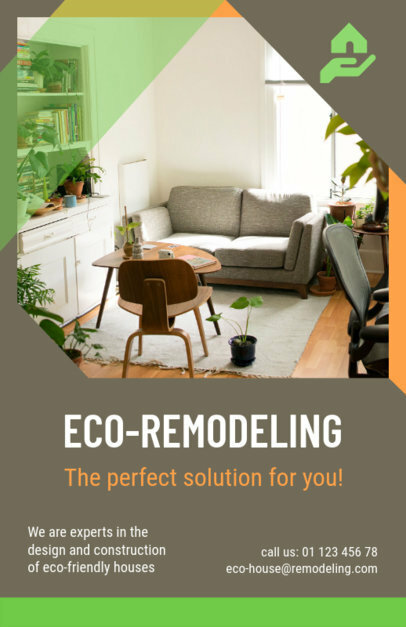 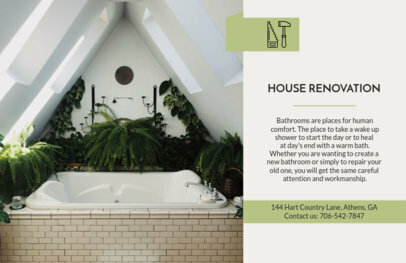 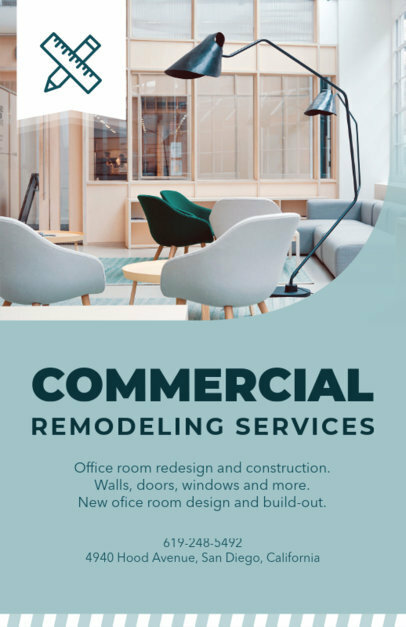 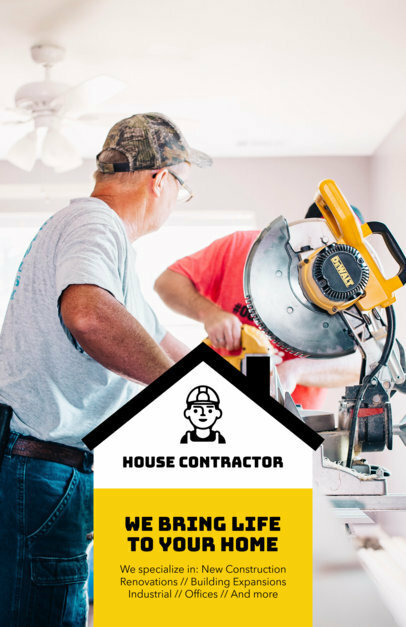 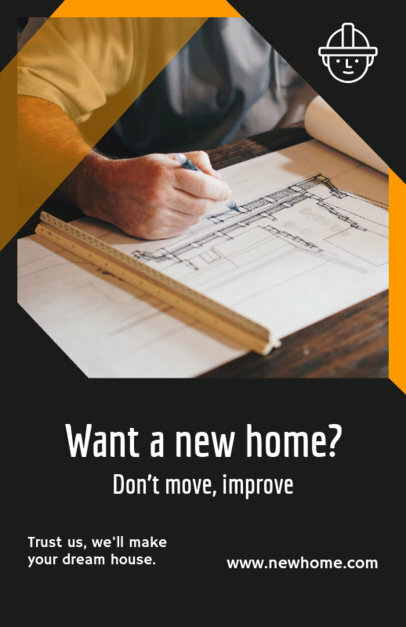 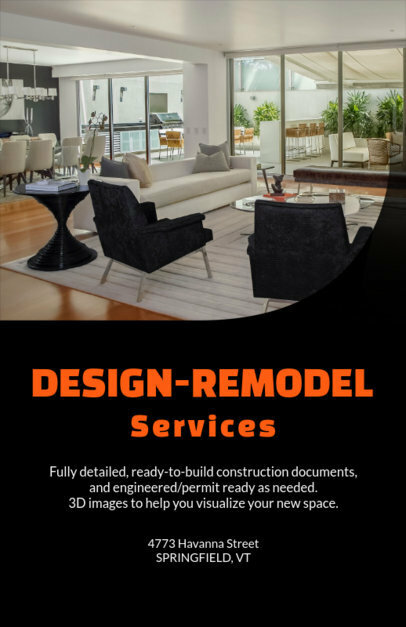 Create a flyer for your home remodeling company and promote your services using a more beautiful visual that will attract your potential customers' attention! 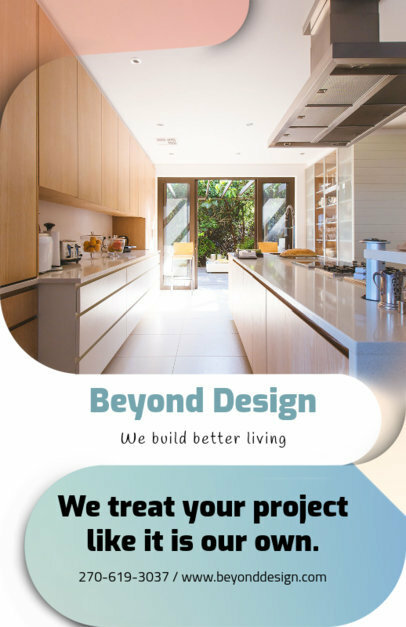 Start now and market your services using a gorgeous flyer from Placeit. 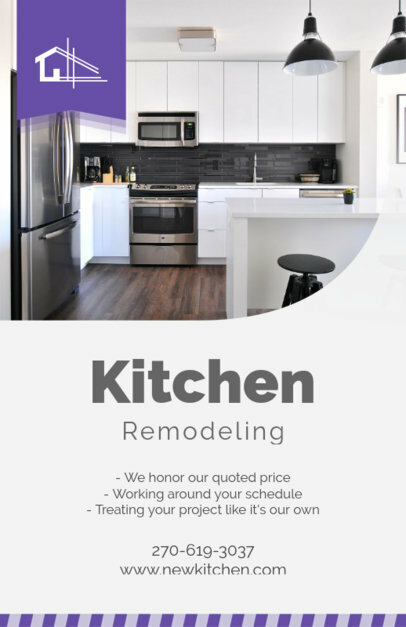 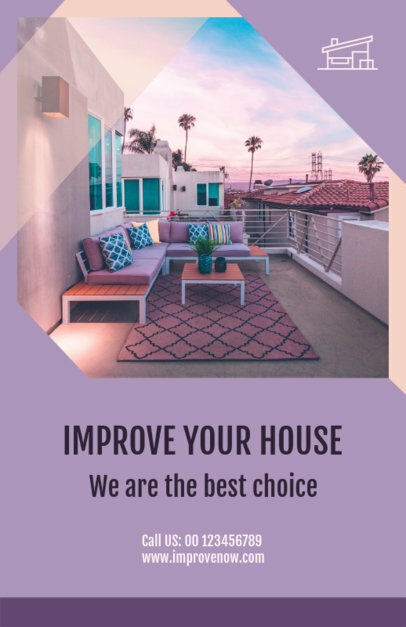 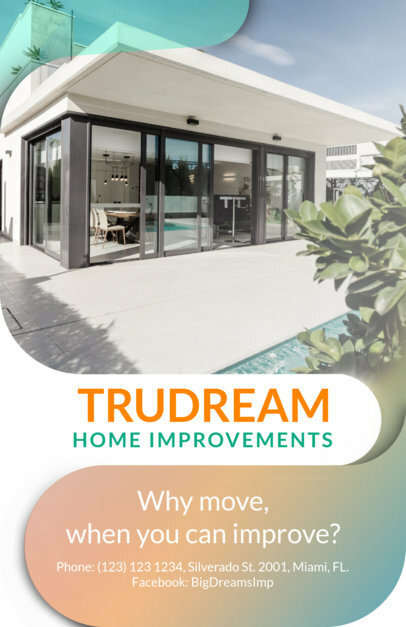 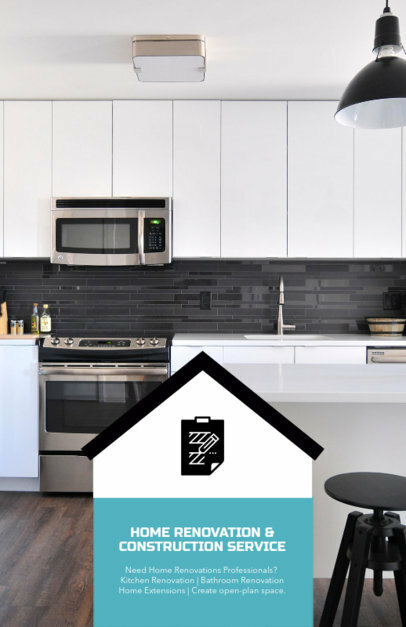 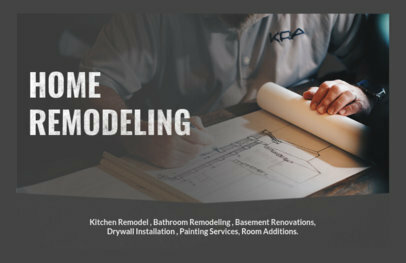 Play with the gradient, image background and text lines to create your own home remodeling flyer! 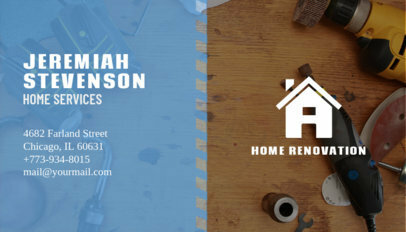 Make your horizontal flyer and get even more clients. 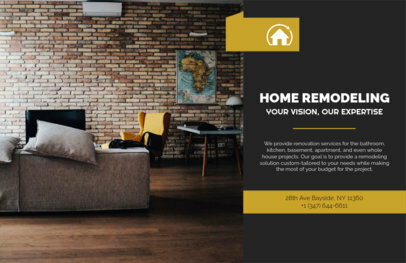 Placeit's Flyer Templates are made so you can create flyers in no time and stress-free. 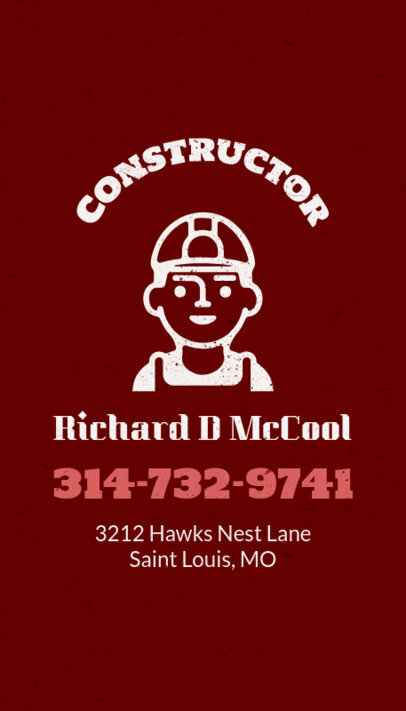 Try it out, just customize the graphics, font, and colors to your liking, and you're ready! 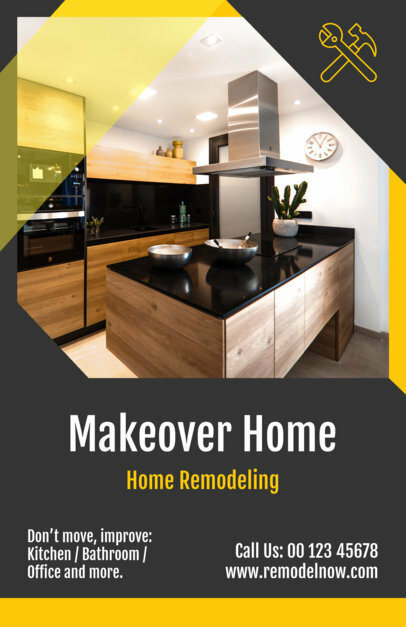 Create your Remodeling Flyer now. 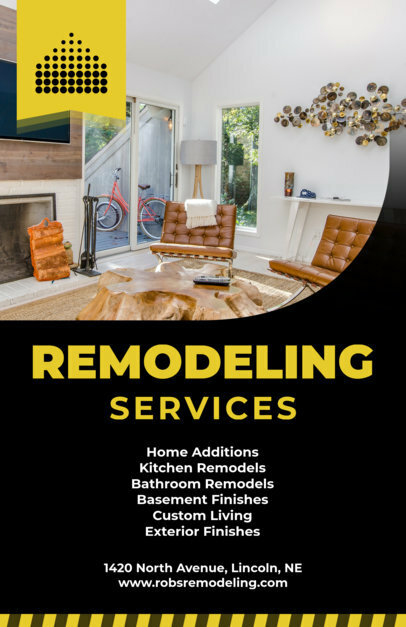 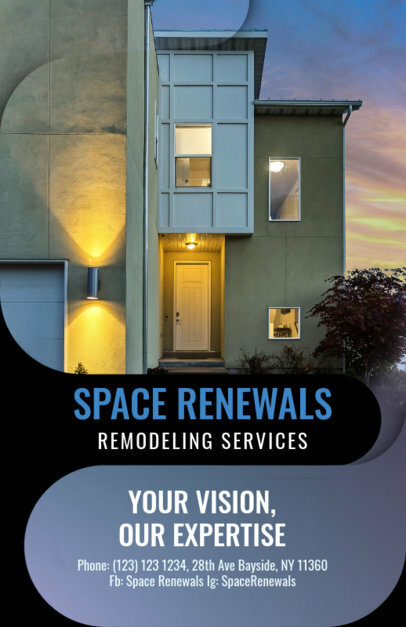 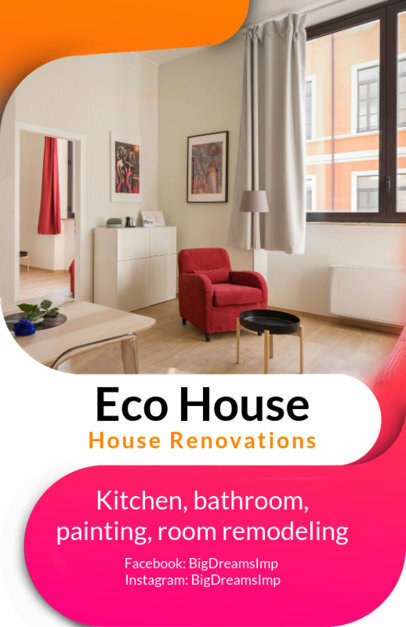 Make a flyer for your home remodeling services company with Placeit's home remodeling companies flyer template and boost your advertising campaign! 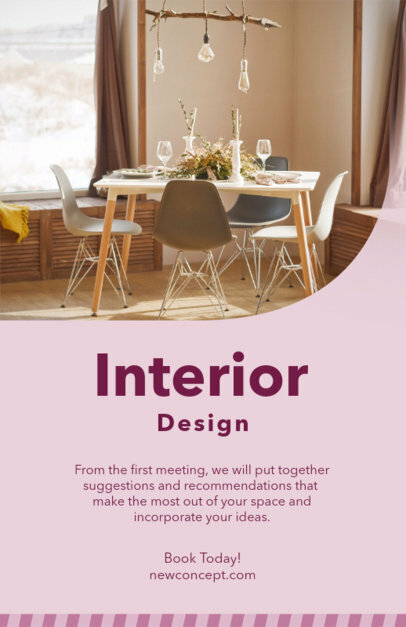 You won't need to hire anyone to get the design you want, you can now create your own design for a flyer. 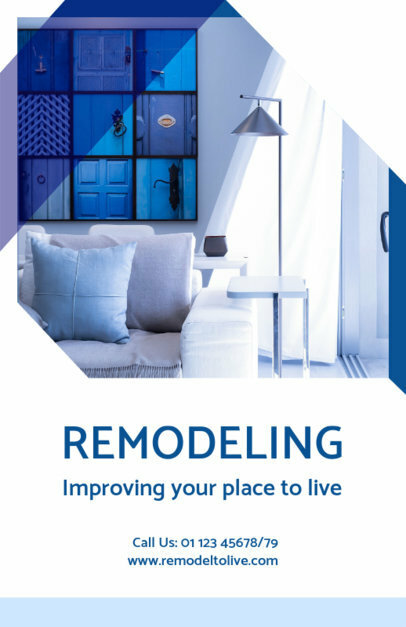 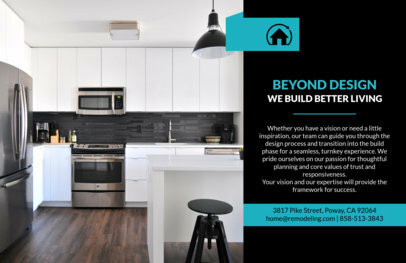 Get those customers to call you by showing them a gorgeous flyer made with Placeit's home remodeling flyer maker.